When you apply polish to your nails, you want the color to stay for as long as possible before it begins to chip away. However, if you do not properly prepare your nails before polishing them, the paint will chip off in one or two day’s time. The application of rubbing alcohol to the nail’s surface will remove oils and ready them to receive polish. Using rubbing alcohol on your nails before polishing will ensure the paint lasts for up to a week before it begins to chip away. Wash your fingers and nails with warm water and hand soap. This removes built-up dirt and oils that could interfere with polishing. Dry your hands gently with a soft cloth after washing them. Fill a spray bottle with rubbing alcohol and set it to a mist setting, if it has one. Spray the fingers and nails of one hand with the rubbing alcohol. Make sure you wet the entire surface of each nail on your hand. Grasp a cotton ball in your opposite hand. Place it on the knuckle just below the nail of your pinkie finger of the sprayed hand. 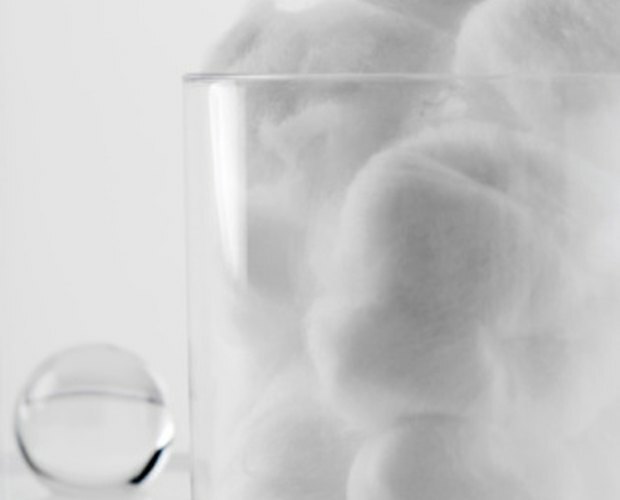 Draw the cotton ball up to the tip of your finger, maintaining light pressure. This removes oils that might interfere with polishing from the tip of the finger, the cuticle and the nail. Repeat the process with the cotton ball on each remaining finger of the sprayed hand. Spray the opposite hand and repeat the cotton ball process will all five fingers. Wipe any remaining moisture from your hands with the soft cloth before beginning the manicure. Do not apply excess rubbing alcohol to your nails as you can dry them out and cause cracking and chipping. How Else Can You Buff Your Nails Without a Buffer?